Last night Jess performed ‘Flame Trees’ live on The X-Factor. The track is from Jess’ new album ‘The Secret Daughter’ which is available to purchase now. Click here to grab your copy! 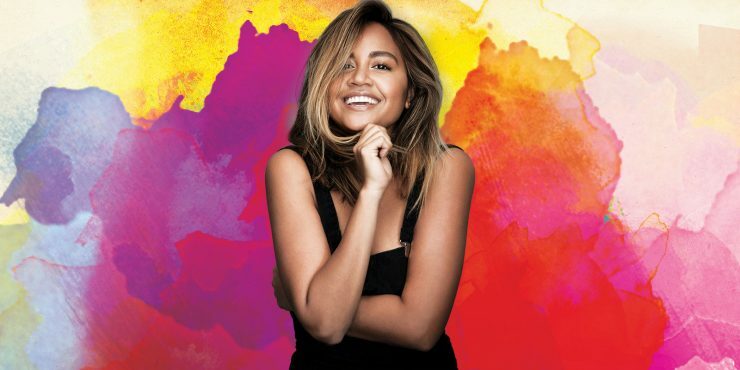 Australia’s very own Secret Daughter, singer songwriter Jessica Mauboy will embark on her long awaited headline shows next April 2017 as part of her national All The Hits Live – The Australian Tour. The All The Hits Live Tour will see Jessica perform hit songs spanning her 10 year career. This will be Jessica’s first headline tour since her hugely successful To The End of The Earth Tour in 2013 / 2014. Following the current success of ‘The Secret Daughter’ on the Seven Network, and her #1 album release, SONGS FROM THE ORIGINAL TV SERIES, THE SECRET DAUGHTER, this tour will take you on a journey through Jessica’s amazing career. 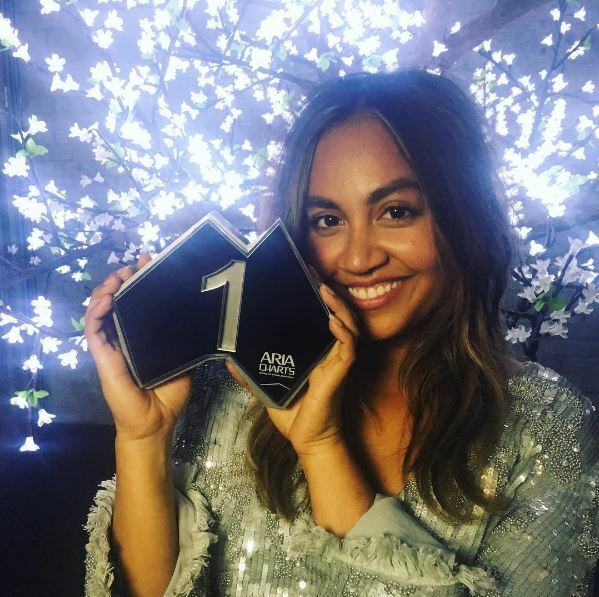 All The Hits Live will feature tracks from her new #1 ARIA album, SONGS FROM THE ORIGINAL TV SERIES, THE SECRET DAUGHTER, which includes ‘Wake Me Up’, ‘Risk It’, ‘It Must Have Been Love’, ‘Flame Trees’ & ‘Better Be Home Soon’, plus songs from the hugely successful movie – The Sapphires’ as well as all of her greatest hits from the last 10 years. Telstra Thanks is bringing an exciting 48-hour pre-sale just for Telstra customers from 2:00pm, Wednesday 26th October. Velocity Live For a limited time, Velocity Frequent Flyer is offering a presale window, with the presale only available via Velocity Live and exclusive to Velocity members from 3:00pm, Friday 28th October. For all ticketing information, head to www.ticketek.com.au. 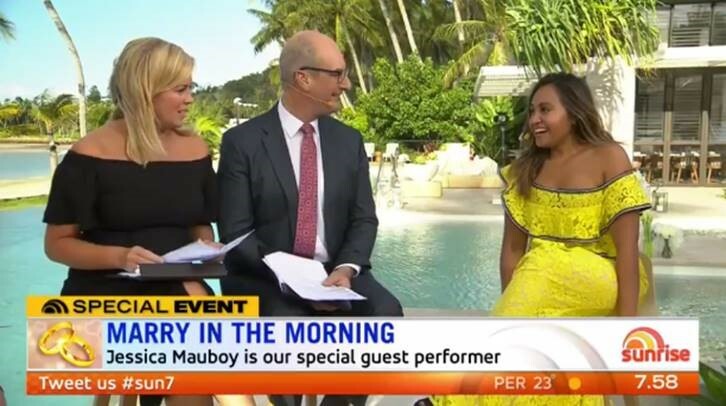 On Friday morning Jess chatted live with the Sunrise cast before performing for the wedded-to-be couple Josh and Kiarna. After the chat, Jess performed a beautiful rendition of Ed Sheeran’s ‘Photograph’ as Kiarna walked down the aisle. 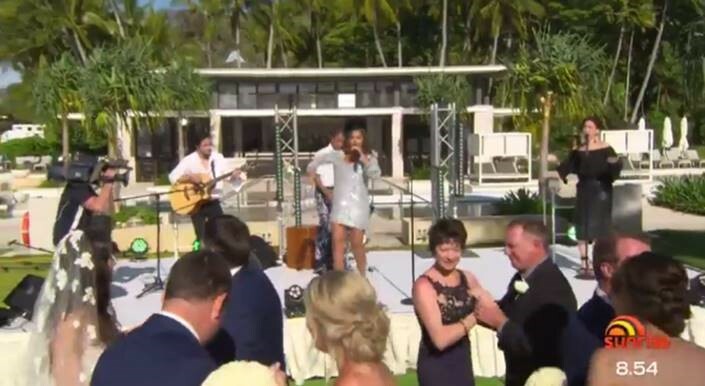 Jess then performed ‘Pop A Bottle’ for Josh and Kiarna’s first ever dance as a married couple. Jess joined The Morning Show on Thursday to perform another original track from ‘The Secret Daughter’.